Being a Certified Housing Professional can drastically improve your effectiveness on the job and give you the in-depth knowledge required to complete your day-to-day tasks. Getting certified has ever been easier! HTVN is the exclusive online home of Nan McKay and Associates Certifications with a growing list of other industry specific certifications. Working within the confines of the law, equality, and fairness is what is best for every housing organization. Our Compliance and Policy courses are aimed at making sure that organizations understand, operate, and remain in compliance. We share exactly what you need to know with easily accessible training content that outlines your rights and responsibilities. Discover innovative ways to improve the impact that your organization is having today. An ever-growing list of performance-based courses will help you recognize opportunity and better define success. Courses range from financial tools to building strategies, all taught by industry leaders and experts. Is MTW Right for Your Agency? These overarching courses are designed to guide you along your learning journey. Combining related courses together to give you a more well-rounded level of understanding, these Pathways are great for anyone looking to understand a topic and the best place to start. Learn at your own pace with Learning Pathways. 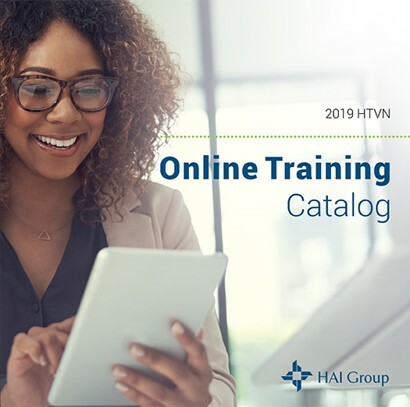 With training that can improve your every day organizational needs, the Maintenance and Operations topic area provides an in-depth look at facilities management, maintenance safety, installation, and repairs. Choose from content on Property Management, Inspections, Occupational Safety and Health Administration (OSHA), and working with your residents. These courses are perfect for group viewing sessions and as annual refreshers to ensure that your staff is adhering to best operating practices. For an even more intensive breakdown of our Maintenance and operations content, take advantage of some of our Maintenance Learning Pathways. Update your professional development resume with helpful courses to enhance your skill set. These courses incorporate non-housing specific training, taught by experts, to capture the growing needs within your job responsibilities as well as general informative areas to improve your quality of life. Risk prevention can be a lot less costly than responding to real life risks. Help keep your employees and residents safe from the exposure to risk and create risk action plans using our e-Learning materials. Perfect for large group viewing sessions, we’ve included everything from workplace safety and crime prevention, to auto safety and cyber risks. Take preventive action before you have to take corrective actions with our Risk Management learning solutions.